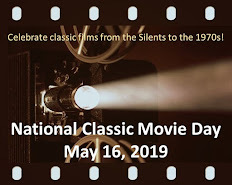 Classic Film and TV Café: James Garner Wheels and Deals as "Cash McCall"
The title character in Cash McCall does not make an appearance until eighteen minutes into the film. Still, he dominates the opening scenes. Little girls sing about him as they jump rope. Business executives describe him as a "jackal," a ruthless corporate raider. We hear about his nine-room penthouse on the tenth floor (and some of the ninth) at the Hotel Ivanhoe in Philadelphia. We even see an illustration of him, apparently dressed as Robin Hood. When we finally meet Cash, he's handsome and charming (which isn't surprisingly since he's played by James Garner). It turns out that Cash is not an unethical, greedy dealmaker--although he does like to make money. He buys broken businesses, fixes them, and sells them for a profit. His latest target is Austen Plastics, which produces cabinets and parts for television sets manufactured by the larger Schofield Instrument Corporation. The company's founder, Grant Austen (Dean Jagger), wants $2 million and is surprised when Cash agrees to the price with no haggling. It turns out that Cash has ulterior motives, which are linked to Austen's daughter Lory (Natalie Wood). Made in 1960, Cash McCall is an immensely likable picture with a delicious cast. If you're familiar with the films and TV shows of the 1960s, you will recognize almost everyone in it. E.G. Marshall plays an attorney (just as he did on The Defenders). Otto Kruger is Cash's banker, Roland Winters plays a blowhard business rival, and Nina Foch moons over Cash as the assistant hotel manager. Best of all, veteran character Henry Jones gets the meatiest role of his movie career as a business consultant who becomes Cash's right-hand man. Cash McCall was only James Garner's third film as a leading man, though he had some box office clout thanks to his starring role in TV's Maverick. He's ideally cast as the self-made millionaire and even gets to show a glimpse of his soft side in his scenes with Natalie Wood. 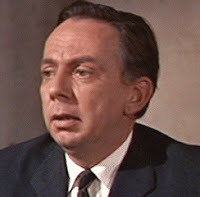 This was the last film on his Warner Bros. contract and he would follow it with a key supporting performance in The Children's Hour (1961). 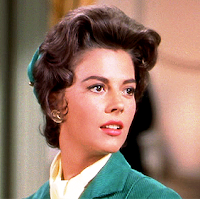 As for Cash McCall, the film has some shortcomings, namely it relegates Natalie Wood to a role not worthy of her talents. And the business conflicts are wrapped up too quickly in the climax (I think the similarly-themed 1991 film Other People's Money has a better ending). Still, this is the movie that re-introduced me to James Garner and played a key role in making me a Garner fan. He will have you rooting for Cash every step of the way as the wheeler-dealer tries to pull off his biggest challenge. And really, how could you not pull for a character played by Jim Garner? "And really, how could you not pull for a character played by Jim Garner?" You can't not root for Jimmy Garner. You can't. And that is why, when he SPOILER ended up as the bad guy in Atlantis: The Lost Empire, I lost my freaking mind and shocked my then ten year old daughter. She recalls it as one of the funniest movie moments now, but then she was scared. Back to Cash McCall - what you said - ditto. It is a bright and shiny bauble, fun in its candy coated way. Natalie's role is a puff piece "the girl" role but apparently she agreed to do it in order to get Splendor in the Grass at Warners insistence. If her role in CASH was the price for SPLENDOR IN THE GRASS, it was worth it. 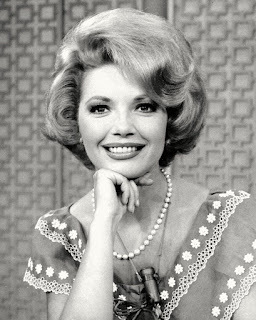 Natalie is fabulous in the latter--the best performance of her career. And CASH is still a lot fun. 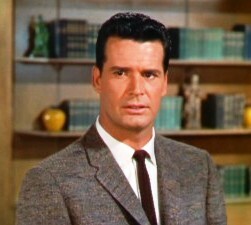 I like "Cash McCall" and keep rediscovering how much I like James Garner. And wouldn't it be fun to have the picture of Cash as Robin Hood? I always cheer for James Garner. (Like others have said, how could you not?) This sounds like a good film, even if the ending is a little too convenient.